We recently had the pleasure of visiting New York for the first time and got to take in all of the great things New York City has to offer. 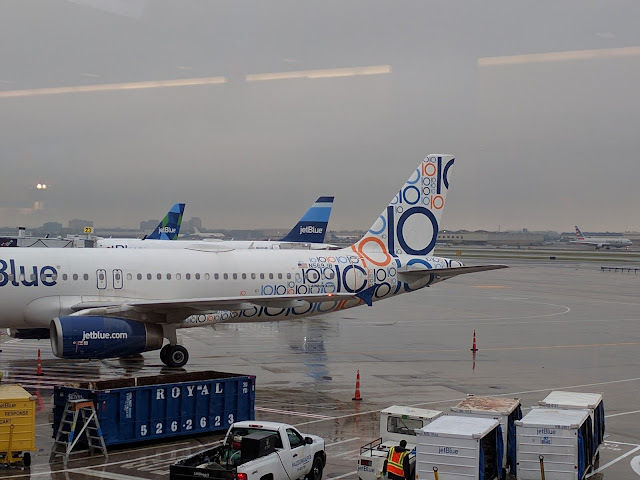 I plan on reviewing all aspects of our trip, but first up is our experience on JetBlue and booking award flights which helped us save a lot of money. If you're a frequent JetBlue flyer or are planning a trip to a location that JetBlue flies to, it would be a good idea to consider applying for one of the JetBlue co-branded credit cards from Barclays Bank. If you're not familiar with travel related credit cards, check out a previous post for a quick overview of them: Points, Miles or Cash-Back? Also, before applying, it is always a good idea to know your credit score and history, Do You Know Your Credit Score? 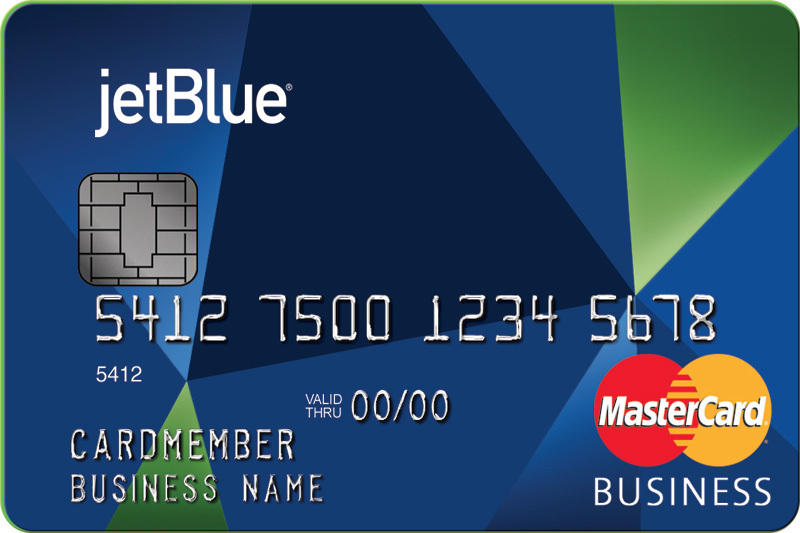 The new Mastercard branded JetBlue credit cards were released earlier this year after previously having their credit cards issued by American Express. 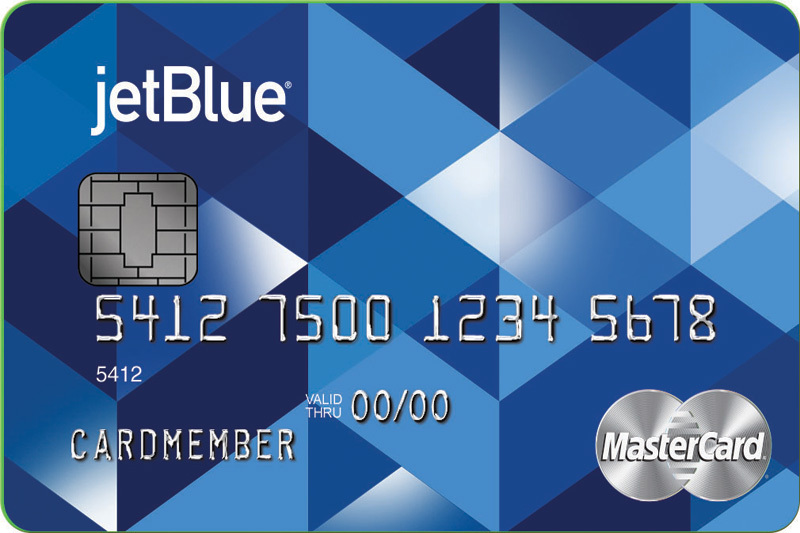 There are three options for the JetBlue co-branded credit card from Barclays bank, with each card having a different points earnings structure, annual fee and other perks. Note: The bonus point offer has been as high as 10,000 points, so you may want to consider waiting for a better offer on this particular version of the card. 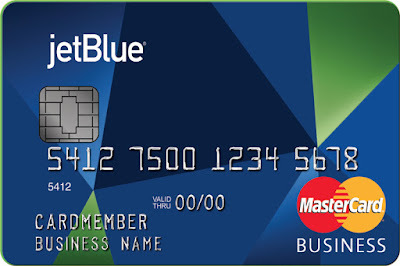 The JetBlue Business credit card is similar to the JetBlue Plus card discussed in Option 2 and unless you meet the criteria for applying for a business credit card, I would focus on the first two options mentioned above. 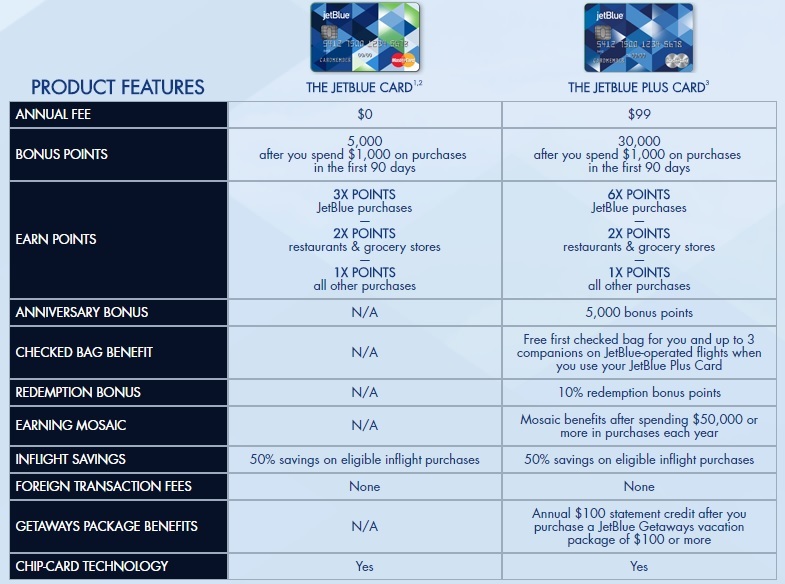 The JetBlue Plus credit card offers a nice sign-up bonus, as described above, but also offers some other great benefits and perks such as the anniversary point bonus, free checked bags (at least a $25+ savings) and savings on in-flight purchases. The points you earn using this card accrue in the JetBlue loyalty program, TrueBlue, which offers great benefits for customers. 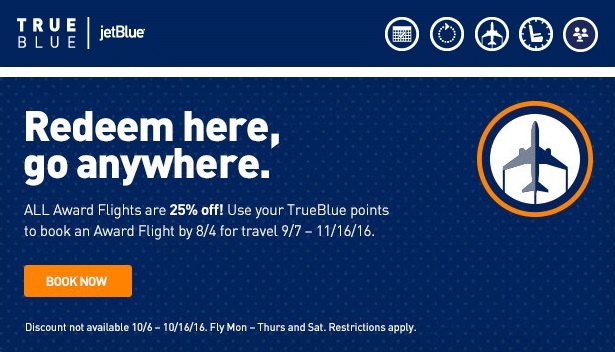 Signing up for a TrueBlue account is free and I'd highly recommend it when flying on JetBlue. Earn Points on Flights - If you use your JetBlue credit card, you'll earn even more points and at a faster rate. Ability to combine points from individual accounts with no fees, up to two adults and 5 children per family account. 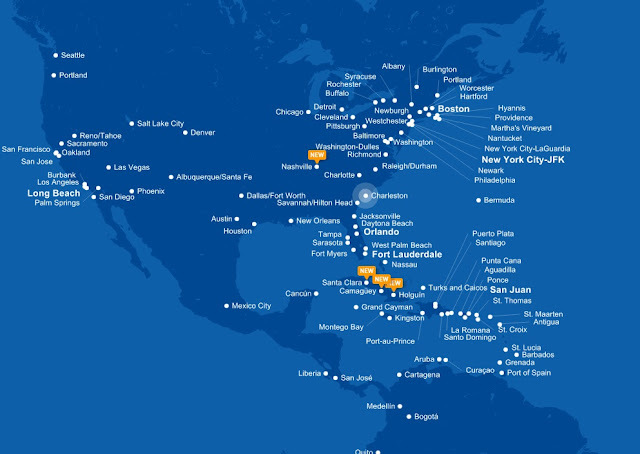 The highest level of the loyalty program earned by flying 30 segments plus 12,000 base flight points within a calendar year or earning 15,000 base flight points within a calendar year. 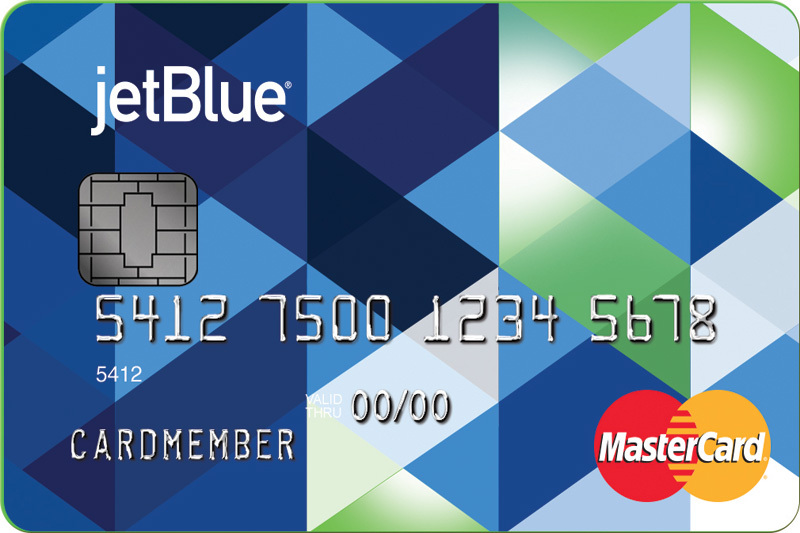 I decided to apply for the new JetBlue Plus card earlier this year since we were planning a trip to New York and I wanted to save money wherever I could. I also wanted to take advantage of the great sign-up bonus and the other perks offered for the premium version of the card. I don't currently use the card for everyday spending and use it only when purchasing flights on JetBlue. 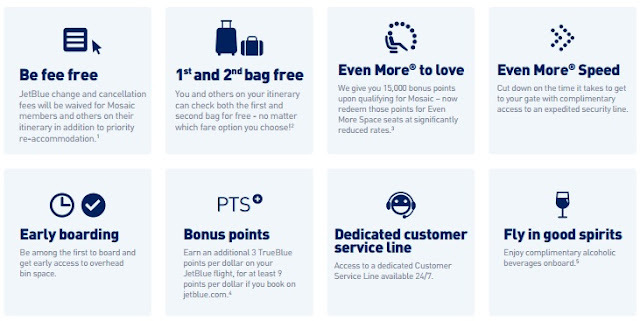 One thing to know about using your points is that JetBlue has a revenue based frequent flyer program which means the number of points required to redeem an award flight is dependent on how much a ticket would cost in cash. While redemption rates for your JetBlue points are pretty much fixed, one big way to save money (or points) on flights is when JetBlue has promotions and sales being offered. Prices on flights are reduced, which in turn means the number of points needed to book an award flight are also on sale. Knowing that the cost of an award flight is tied to the price of the ticket, I waited for a JetBlue promotion to book our trip to New York. I was able to use my existing TrueBlue points in my account and the 30,000 bonus points I received after meeting the requirements for the credit card promotion to book award flights to New York, saving me approximately ~$750-800 total on three tickets. If you are planning a trip to any of the cities in which JetBlue flies, applying for their credit card can help you save a lot of money on flights and give you access to other perks you wouldn't receive when flying with them unless you had one of their cards. Lastly, another reason why I considered applying for this card was to gain access to the World Elite Benefits offered by Mastercard. If your not familiar with this program, it is similar to the Visa Signature program I previously reviewed here. I plan on reviewing travel benefits offered through the World Elite Mastercard program in a future post.